Milestone Masonry offers residential and commercial masonry services to the Raleigh, Durham, Chapel Hill, Triangle Area. Specializing in custom design/build for: Stone, Brick, Block and Concrete. Richardson Concrete Specializes in Residential Driveway Replacement and Repair, as well as a variety of other concrete services. Welcome to Milestone Masonry, residential and commercial masonry services for the Raleigh, Durham, Chapel Hill, Triangle area. 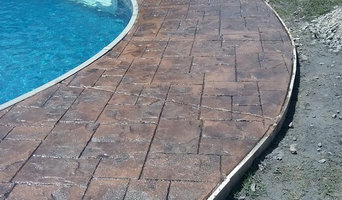 With 15 years experience in stone, synthetic stone, pavers, brick, block, celtic block, breeze block and decorative concrete installations, we pride ourselves on our ability to tailor each project to our clients individual vision and budget. With customer satisfaction being our goal, our in-depth understanding of the trade and attention to detail, both in design and construction, will provide you with the highest quality product, at an affordable price. From my beginnings as a masonry tender, through my apprenticeship, and onto starting Milestone Masonry, I have been blessed with a true appreciation of this trade and what separates good work from great work. 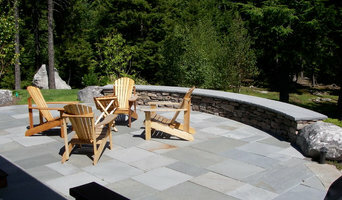 We understand that each project should be seen as more than just another walkway, wall or patio. It's an extension of your home and aesthetic. That is why we make it a point to meet with each of our potential customers to discuss all of your design, material and pricing options, and to better understand exactly what you are looking for in your project. This combined with our skill and professionalism will ensure you receive a beautiful finished product to admire for years to come. Paragon Concrete is a family owned concrete and landscaping company based in the greater Triangle Area of North Carolina. Our goal is to provide quality, personalized service at an affordable price. At Bull City Brick + Restoration, we pride ourselves in being able to handle to smaller jobs that contractors don't want to handle. We can provide a small crew to take care of you and your home's needs. From a few cracks in your sidewalk or driveway to a couple of bricks missing on your front steps, there is truly No Job Too Small. When a situation calls for the attention of a concrete contractor, it’s a good idea to consult with a firm that’s properly licensed, which is why so many families and businesses choose Creative Concrete Construction. Our company is located in Morrisville, NC, and we’re known for providing services that are punctual and professional. We have more than 10 years of experience in the field. We’re a locally operation, and our employees are dedicated to completing jobs promptly. Paragon Concrete Co. is a full-service concrete contractor serving the greater Triangle area of North Carolina. As a family owned business, we pride ourselves in providing only the best in residential and commercial concrete services. With over 30 years of combined industry experience, our team brings unparalleled expertise and value to every project, no matter the size. 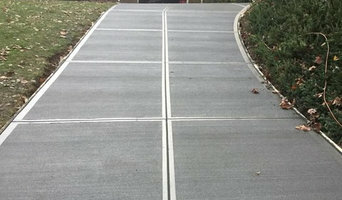 Our crews have extensive experience installing new driveways, stamped patios, garage slabs, ADA sidewalks and ramps, curb and gutter, monolithic slabs, and much more. If it’s concrete, we can do it. Contact us today for a free onsite consultation. We look forward to serving all of your concrete installation needs. Maddox Concrete, LLC provides both commercial and residential customers with a variety of concrete services. Whether your home sidewalk is riddled with cracks and is in desperate need of repair or your business is looking to replace a parking lot, Maddox Concrete LLC has the professionals, expertise and products to deliver. We take pride in our commitment to each and every concrete project, regardless of size. Run by Stanley and Jessica Faircloth, Carolina Concrete Landscape and Design has been working towards improving the entire state of North Carolina’s concrete and exterior spaces for more than a decade. Stanley has lived in the Broadway community his entire life and has more than 25 years’ experience in grading and excavation. His knowledge and passion are effectively interpreted into every concrete hardscape and landscape project he has completed. Our brand of service has been built on excellence, quality and great customer service. We are the superior concrete contractor in NC providing top-of-the-line concrete services across the entire state. Depend on us to deliver high-quality solutions along with affordable rates. Be sure to view our entire site to discover the benefits you will gain from our services. You can also send us an inquiry through our contact form. We look forward to turning your ideas into outstanding concrete creations! The mission of our company is to strive to be the most professional in our market enabling us to be the first choice for business relationships among our customers, suppliers, and employees. We will provide services and products based on Christian values, honesty, and efficiency, which will help promote growth, a positive workplace and financial and moral responsibility. Our success will be measured by the increase of friendships we develop, happiness we create, pride of workmanship demonstrated, growth of our client's satisfaction and generosity to our community.